Good Morning people! It's been a while that someone talented made an illustration for me so when I saw this , I was so touched + surprised ..I just have a soft heart for things like this. 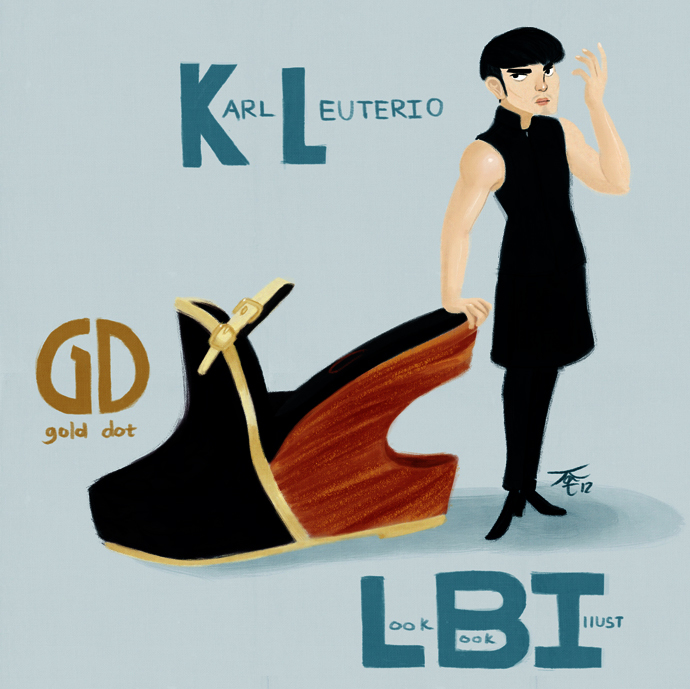 She's so nice for not illustrating me with my usual chubby cheeks too haha.. What I love about Kathryn is her love for Gold Dot.Just look at her version of the KARL wedge. Bless you, Kathryn.. I'm so honored to be included in your favorite Lookbook people. They say that people in lookbook.nu all look the same now as compared to circa-2009 but I have high hopes for the site and I am still seeing rare gems...Actually, there are lookbookers who doesnt surface on the site because the popular ones are more marketed but it's ok. I created lookbook to primarily document my style. I wanna have this.. erm..lookbook of my looks because i love looking at myself in clothes that I've st I might do a post about my favorite lookbookers , those who are usually not that popular but with exceptional RAD , organic style.. Thanks Kathryn, ... you can view the post here..